Do not need to run 6 meter long cables from front to rear (your car’s trunk). Reduce installation fee, Easy to install. All cables just need to be connected in front. This optic fiber decoder box will keep your original car’s optic fiber amplifier or Harmon Kardon system or BOSE sound system work. That means all your original car’s speakers will still work by this MOST BOX. The audio effect is very good. Â§ 1. 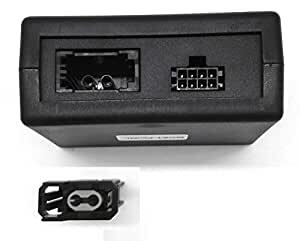 If your car has optic fiber amplifier located under the main or assistant driverâs seat or in your car’s trunk, or if your car comes with optic fiber Harmon Kardon system, please order this optic fiber decoder box. Â§ 2. If you are not sure whether this MOST box will fit your car or not, please contact us before ordering.